Target wants to make "absolutely clear" that it has no relationship with the startup Breakr that recently created a viral campaign and meme known as Alex From Target. MINNEAPOLIS: Target wants to make it "absolutely clear" that it has no relationship with the startup that created a viral campaign and meme known as Alex from Target. 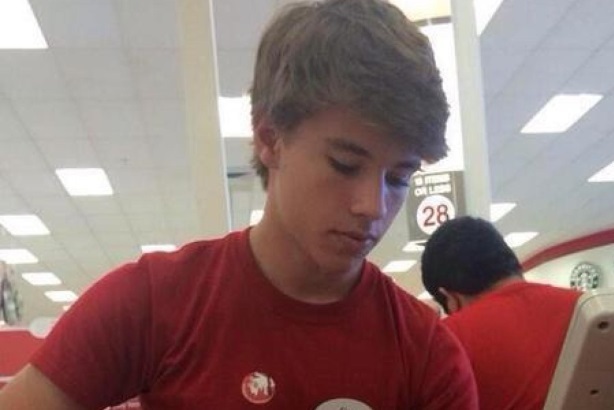 On Sunday, a photo of a teenage Target staffer named Alex took the Internet by storm when it was posted on Twitter with the hashtag #AlexFromTarget. The hashtag was tweeted more than 821,000 times in the first 24 hours. On Monday, Target appeared to join in when it tweeted, "We heart Alex, too." "This is not at all and never has been a marketing campaign done on behalf of Target," said Molly Snyder, group manager of PR at Target. "We had no knowledge of this company prior to what they came out with in a statement yesterday." #AlexFromTarget is my new found hero! ?????? Snyder said Target was watching the story develop and decided to join in as the buzz continued to build. "[Alex] is one of our team members, and we take tremendous pride in our team, so it was a fun, social moment, and we wanted to recognize Alex and everything that was happening," she explained. Despite the tweet, Target told Mashable on Monday that the Alex meme and hashtag took the company by surprise. Target also issued an updated statement on its website on Tuesday night distancing itself from the Internet phenomenon. "We value Alex as a team member and from the first moment we saw this photo beginning to circulate, we shared that the Target team was as surprised as anyone. That remains the truth today," the retailer said in the statement. "Let us be completely clear, we had absolutely nothing to do with the creation, listing, or distribution of the photo. And we have no affiliation whatsoever with the company that is taking credit for its results." Target’s strategy for distancing itself from marketing startup Breakr is to answer media inquiries and to post the statement online. Snyder said the company has not received many questions about the issue on its social channels, but it will reply when that happens. Breakr CEO Dil-Domine Jacobe Leonares posted on LinkedIn that the company "had fun on Twitter with the hashtag #AlexFromTarget, which ended up to be one of the most amazing social media experiments ever." Leonares told BuzzFeed that the Los Angeles-based firm’s "network of fangirls" helped to make Alex an Internet sensation. Breakr describes itself as a platform that helps "connect fans to their fandom." Leonares has claimed the company leveraged its relationship with a fan with the Twitter handle @auscalum in London by retweeting a photo she posted of Alex. However, @auscalum told CNET that she does not work with Breakr and has never heard of the company. She contended that she found Alex’s photo on Tumblr. While Target is clearing the air about the initiative, the retailer is gaining media coverage from it, including Alex’s appearance on the Ellen DeGeneres Show.